Who is that peeking from behind his impressive new piece of jewelry? 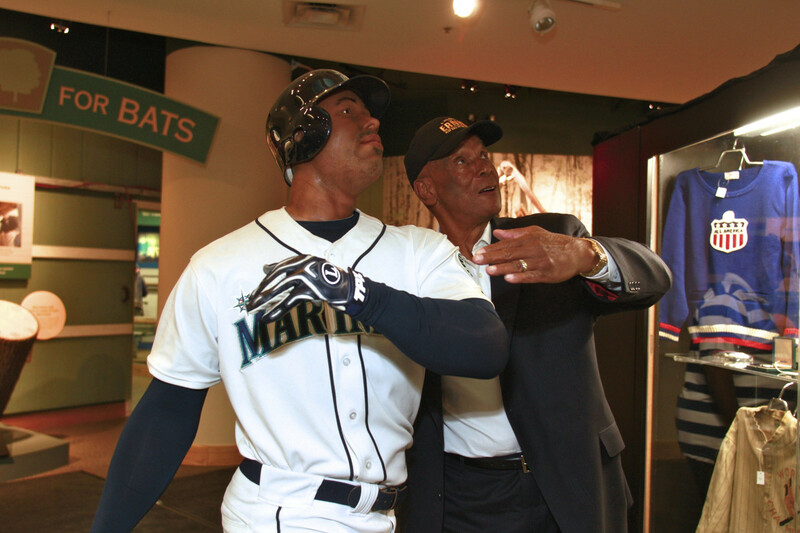 That’s just Ernie Banks having some fun as our 2010 Living Legend honoree. 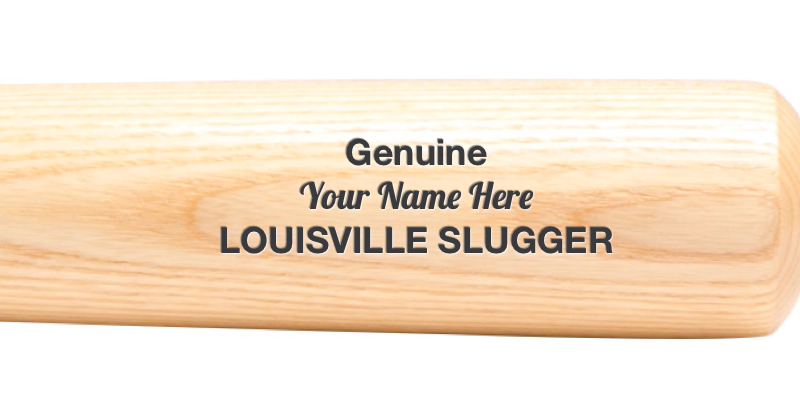 In 2007, the Louisville Slugger Museum & Factory Living Legend Award was created to honor a person whose career in baseball, and life outside the game, have taken on legendary qualities by virtue of his talents, achievements and personal conduct. Beyond statistics, recipients of this award have demonstrated a mythic impact upon baseball and American culture. 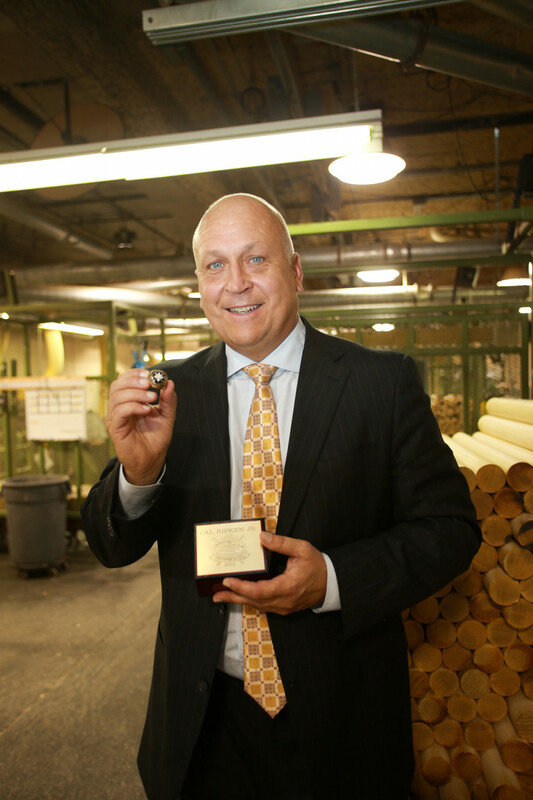 Our Living Legend recipient receives a customized ring that highlights his career achievements. 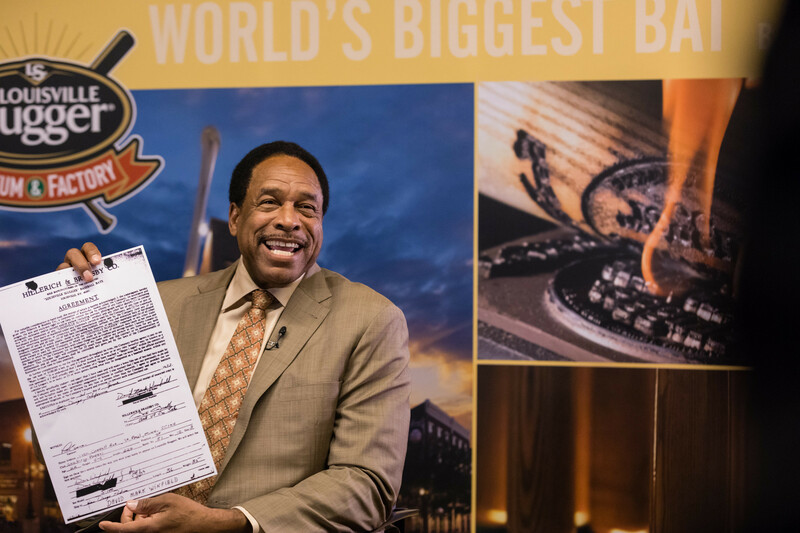 The festive celebration coincides with our annual live auction of fantastic baseball memorabilia every year, conducted by Hunt Auctions Inc. The event makes for a memorable and historic night! 2007, Ken Griffey Jr. Ken Griffey presented the Living Legend award to his son. Their loving relationship and teasing style made for a very entertaining evening! 2008, Frank Robinson. Major league baseball’s first African-American manager checked out our Presidential Baseball exhibit during his visit. Barack Obama had just been elected days before as the nation’s first African-American President. 2009, Hank Aaron. Hammerin’ Hank holds the bat from our collection that he used to hit his 700th home run. He joked that it felt like there were still some home runs left in it! 2010, Ernie Banks. Mr. Cub clowns around with our Ken Griffey Jr sculpture. 2011, Johnny Bench. 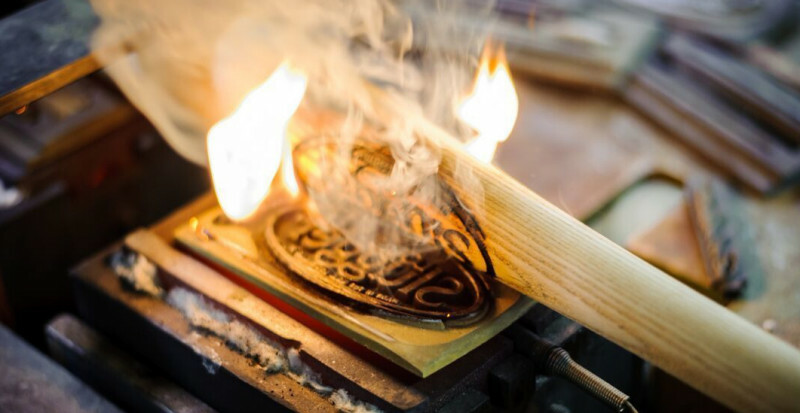 During his factory tour before the ceremony, Johnny Bench watches closely as Danny Luckett hand crafts the bat model Bench used. 2012, Tony Gwynn. 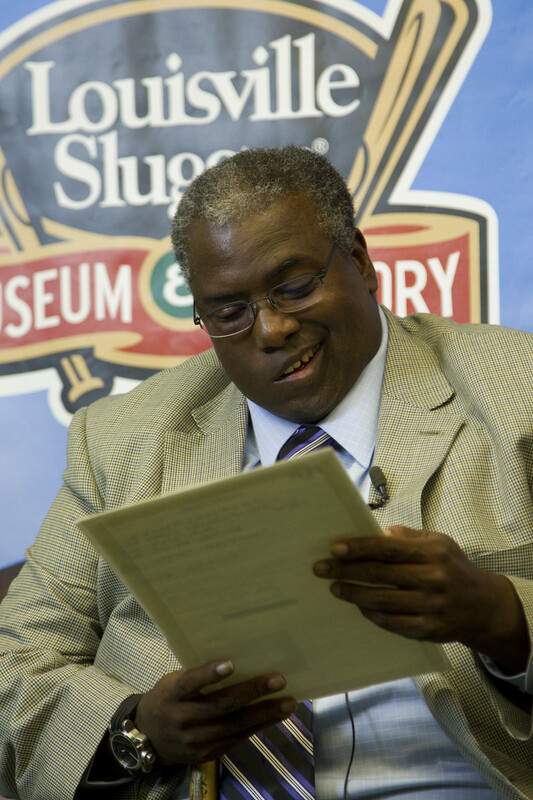 Tony Gwynn enjoyed seeing the original contract he signed with Louisville Slugger in 1981, when he was 21 years old. The deal included a personalized set of H&B’s PowerBilt golf clubs. 2013, Cal Ripken Jr. 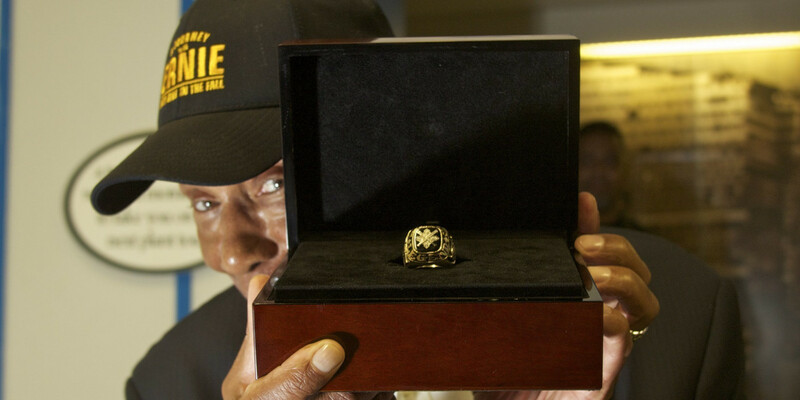 The Iron Man shows off his newest piece of hardware, his customized Living Legend ring! 2014, Ozzie Smith. 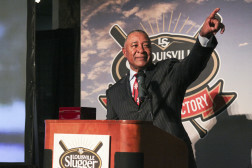 To the delight of our guests, Ozzie Smith was the first Living Legend to take questions directly from the audience. 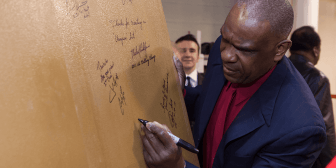 2015, Andre Dawson. Before the award presentation, Dawson was the latest player to sign the CNC lathe in our factory. Check it out on your next factory tour! 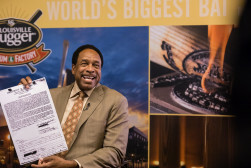 2016, Dave Winfield grins while holding a copy of the original contract he with Hillerich & Bradsby Co when he was just 22 years old. He joked that he still owned the golf clubs included in the contract.